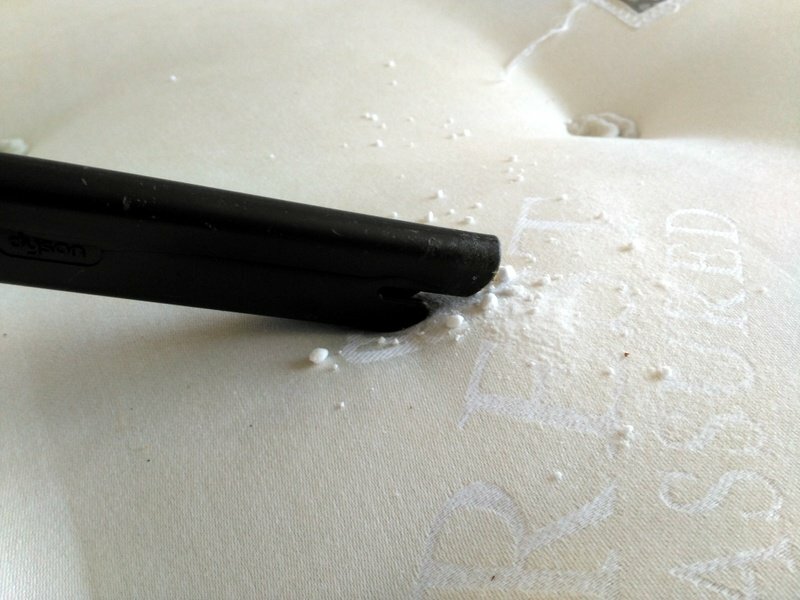 Over time mattresses can acquire an unpleasant sweaty smell. Not surprising with the amount of time we spend on them and the amount of sweat the body produces each night. Even with a mattress protector and regular washing of sheets you can be left with a smell that won’t go away. Also accidents do happen with urine and vomit that can linger, these methods also work well to eliminate these smells. Here are effective and natural ways to remove odors without using any hash chemicals. Spray mattress with a water on a fine mist then sprinkle on bicarbonate of soda / baking soda (they are the same) and leave for a few hours. The bicarbonate of soda will soak up the odor. 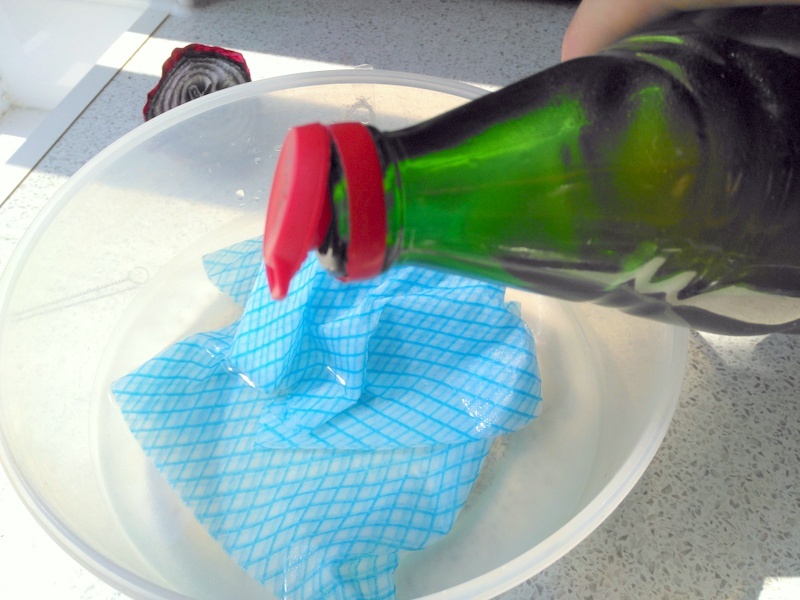 Then simply vacuum off and wipe with a damp cloth. This method works well for sweat and vomit. This might not be practical if your in a flat, but if you have some outside space the sun can do an amazing job at removing mattress smells. Move the mattress outside on a dry and very sunny day. The longer the mattress is exposed to direct sunlight the better job it will do to remove odors. This method works best for sweat smells. Mix up a solution of 3/4 warm water and 1/4 white wine vinegar. Then soak a cloth in this solution and wipe down the mattress thoroughly. Then using paper towels dab it dry. The vinegar has natural antibacterial and antiseptic properties so will help keep the mattress fresh. You may have a slight vinegar smell afterwards, but this doesn’t bother me and its gone in a few hours. This method works best for urine and sweat. 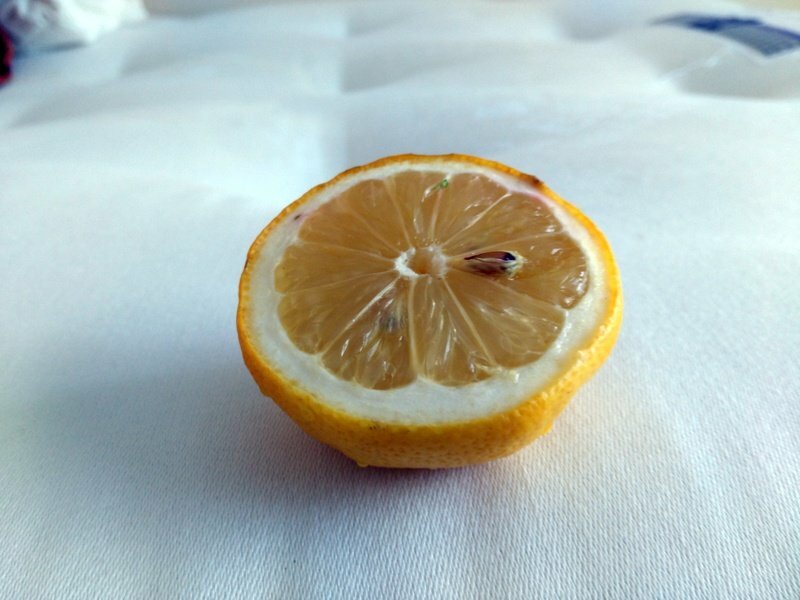 Cut a lemon in half and wipe/scrub liberally all over the mattress. Don’t be concerned that pips and some juicy lemon bits are left behind on the mattress. Simply give it a few hours to dry and hoover off. The lemon will help to eliminate odors and leave a fresh zesty lemon smell without the pollutants that artificial lemon cleaning products leave behind. Lemon is a natural bleach and has antibiotic properties. This method works best for general stains and sweat.